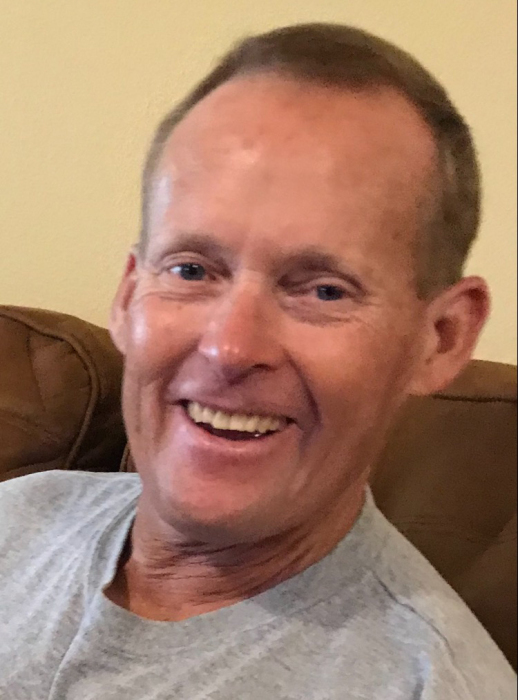 A Mass of Christian Burial will be held at 10:00 a.m. on Thursday, April 4, 2019 in the Sunrise Chapel at Walters Funeral Home for Ricky DeWayne Jock, 56, who passed away on Sunday, March 31, 2019. The Reverend Edward Duhon, Associate Pastor at St. Genevieve Catholic Church, will officiate the services. Organist and soloist is Jodi Bollich. Interment will take place at Greenlawn Memorial Gardens. Visitation hours will be observed on Wednesday, April 3, 2019 from 3:00 p.m. until 8:00 p.m., and resume on Thursday, April 4, 2019 at 9:00 a.m. until time of services. A rosary will be prayed on Wednesday evening at 6:00 p.m.
Ricky is survived by his wife, Angie L. Jock of Lafayette; two daughters, Marcy Broussard and her husband Travis of Mandeville, and Mary Jock of Lafayette; one son, Dustin Jock and his wife Genevieve of Lafayette; and six grandchildren, Ava Jock, Emmett Jock, Vivian Jock, Calvin Jock, Louie Jock, and Dillon Broussard. He was preceded in death by his parents, Veda and Riley Jock; one sister, Karen Jock; and one brother, Joe Jock. After a four year battle with cancer, Ricky passed away peacefully at home surrounded by family. He was the owner and operator of Community Lawn Service for 25 years. He was married to his best friend Angie for 36 years. Ricky will be remembered for his love of caring for all of his livestock, going to casinos, drinking coffee, being an avid Saints fan, spending time with grandkids, constantly joking, and beginning each day with prayer time. He loved to sac-a-lait fish, and often said he would fish every day if he could. He remained optimistic until his last breath. He never met a stranger, and had a kind and generous heart. Pallbearers are Dustin Jock, Travis Broussard, Dennis Shelton, Landon Meynard, Micah Meazell, and Patrick Lavergne. Honorary pallbearers are Chris Hartdegen and Janson Delaney. The family would like to extend special thanks to Dr. Michael Cain, Allison Bertrand, MD Anderson, Lafayette General Medical Center Oncology Staff, and Hospice of Acadiana. Memorial contributions can be made in his name to Hospice of Acadiana, 2600 Johnston Street, Lafayette LA, 70503. Walters Funeral Home, (337) 706-8941, 2424 North University Avenue in Lafayette, is in charge of funeral arrangements.